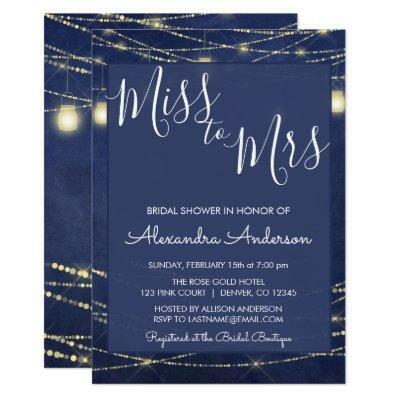 Royal Blue and Gold String Light Mason Jars Miss to Mrs Bridal Shower Party Invitation for a bride to be party celebration. This String Light Mason Jar invitation is perfect for a night sky outdoor Bridal Shower. Please contact the designer for customized matching items.